Potentially deadly "superbugs," including C. difficile and methicillin-resistant staphylococcus aureus, were among the disturbing things uncovered in a CBC Marketplace test conducted in dozens of hotel rooms across the country. Potentially deadly antibiotic-resistant "superbugs," including C. difficile and methicillin-resistant staphylococcus aureus, were among the disturbing findings uncovered in a CBC Marketplace test conducted in dozens of hotel rooms across the country. In a comprehensive survey, Marketplace did a battery of tests in 54 hotel rooms across six major hotel chains, testing for bacterial contamination and other potential health hazards. Results revealed varying levels of dirt and contamination, but every hotel contained some form of antibiotic-resistant bacteria. Microbiologist Keith Warriner, who did the tests for Marketplace, singled out findings of clostridium difficile — better known as C. difficile — and methicillin-resistant staphylococcus aureus (MRSA) as "alarming." "It was a surprise at the start, but amazing that all these hotels had superbugs," he said. "When you get ... the antibiotic-resistant bacteria we're finding, that's not scare-mongering, that's real. These are real pathogens that can cause real illnesses." C. difficile and MRSA aren’t rare bugs. Warriner noted that as much as five per cent of the population carries MRSA without showing symptoms. But if the superbugs find the right targets, they can be killers. 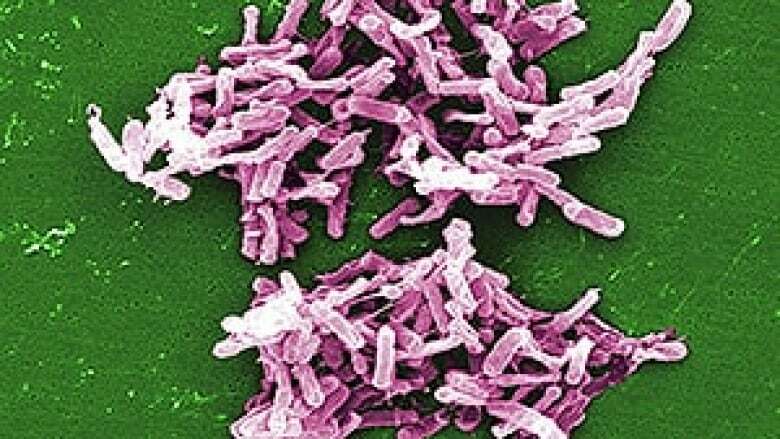 C. difficile was blamed for the deaths of 26 patients in a Niagara-region hospital outbreak in 2011. The U.S. Centers for Disease Control and Prevention report that MRSA kills over 15,000 Americans each year, even more than AIDS. MRSA and other superbugs pose the greatest threat to those with weakened immune systems but MRSA can also be contracted through cuts or other open wounds. While many people associate the drug-resistant germs with hospitals, Warriner said he was surprised by the sheer prevalence of them in hotel rooms. "But if you think about lack of sanitation, multiple people coming in every day, it wasn’t surprising in that respect." In Marketplace’s test, Warriner examined 810 "high-touch" surfaces in rooms at EconoLodge, Super 8, Best Western, Holiday Inn, Fairmont and Sheraton rooms in Vancouver, Toronto and Montreal. Watch The Dirt on Hotels, Friday at 8 p.m. (8:30 p.m. in Newfoundland and Labrador) as Marketplace reveals the risks you don't see — and what you can do about them. 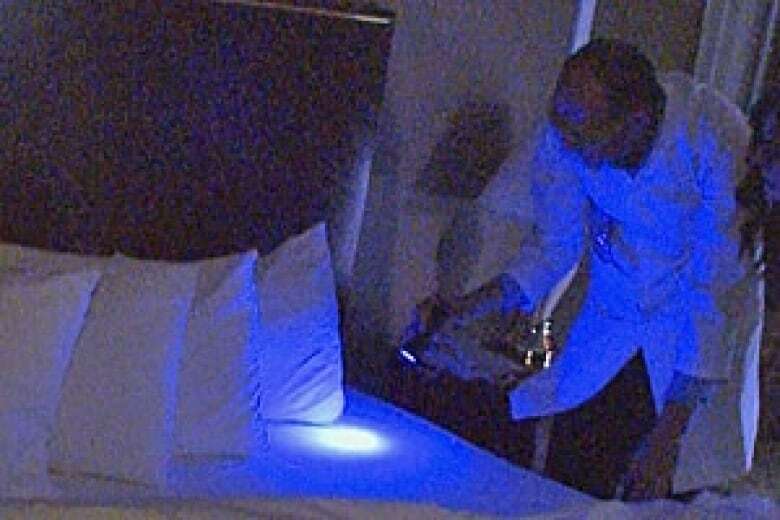 Using an ultraviolet flashlight and an adenosine triphosphate (ATP) meter that measures microbial contamination, Warriner found the worst bacterial hot spots in the hotel rooms. Comforters proved the dirtiest, while faucets, remote controls, bed throws, bathroom sinks and toilet bases were the most commonly contaminated spots. Hidden cameras in the rooms also captured maids using cleaning techniques that would actually help spread bacteria. One camera captured a maid using a toilet brush to clean a sink, and another using same rag to wipe a toilet seat, then a faucet. "[They’re] just transferring contamination all over the place," Warriner said. "You can see why [contamination] is rampant," he added. "It's literally just like spreading everything everywhere." Tim Oldfield, EconoLodge’s managing director of franchise performance, saw the hidden camera footage and was "disappointed" with what he saw. "Seeing it on camera suggests that we need to re-visit our housekeeping practices, specifically at these hotels," he admitted, adding that the findings didn’t meet "my expectation of the standards we set as an organization." Best Western International replied with a written statement saying cleanliness is a top priority for the chain. Starwood Hotels, which owns the Sheraton chain, replied with a written statement saying Marketplace’s findings are "completely unacceptable to us and are obviously inconsistent with our standards" and said it has "already actioned re-training of all cleaning procedures and protocols." Wyndham, which owns the Super 8 chain, and Holiday Inn parent company InterContinental Hotels Group both replied with written statements that their hotels are all independently owned and operated, but all franchises will face action if they compromise quality or customer safety.